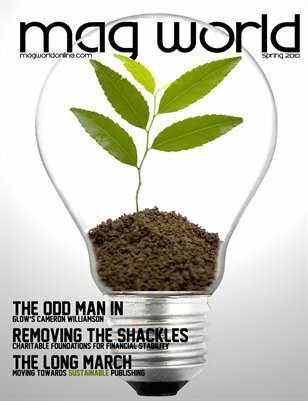 Magworld is a magazine for magazine industry insiders. The magazine is now in its twelfth year of publication, and looks to stimulate conversation and uncover new perspectives for those in the industry. Many of the articles in the 2010 edition focus on adaptability. Entering the second decade of the millenium, publications are faced with new challenges requiring them to adopt new technology, alter their business models, and re-assess their audiences in order to thrive. Magworld explores the ways by which the magazine industry has changed and evolved to meet consumer and advertiser demands. Magworld writers carefully explore this ever-changing industry in pieces on technology, business, industry, and current events.